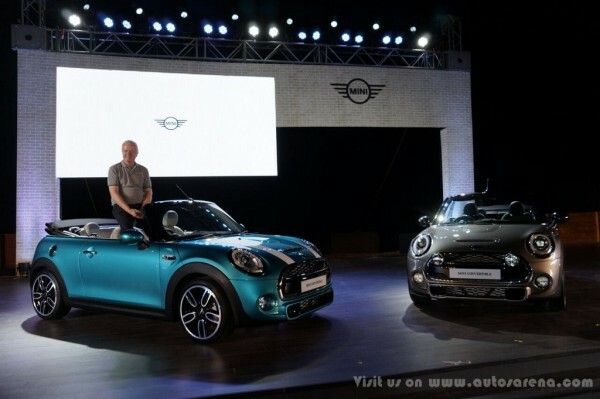 Like all future MINI’s, the MINI Convertible too is based on the UKL platform and is longer, wider and taller than the outgoing MINI convertible. 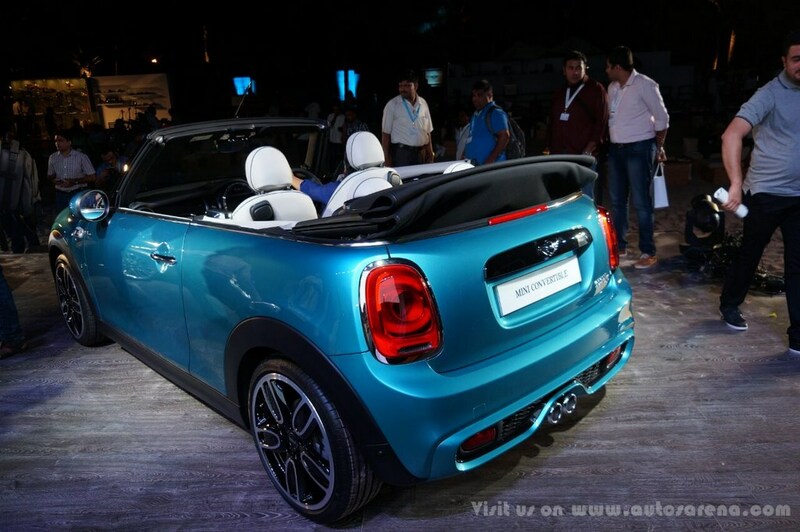 The design authentically expresses the additional driving fun, technological advancement and refined premium characteristics of the all-new MINI Convertible. 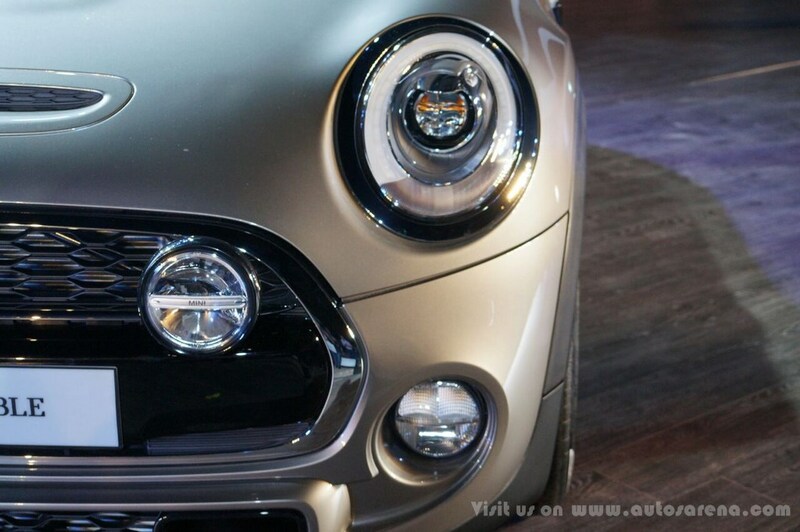 The face has the retro looking round headlights with LED day time running lamps and fog lamps. 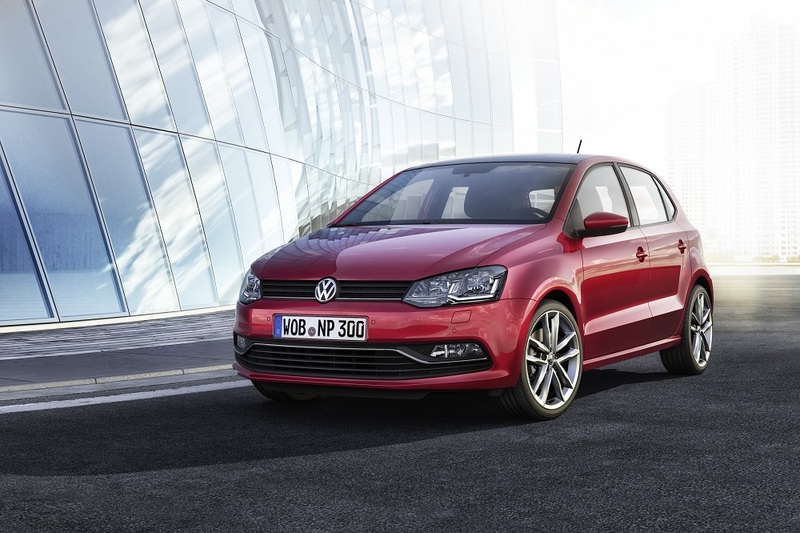 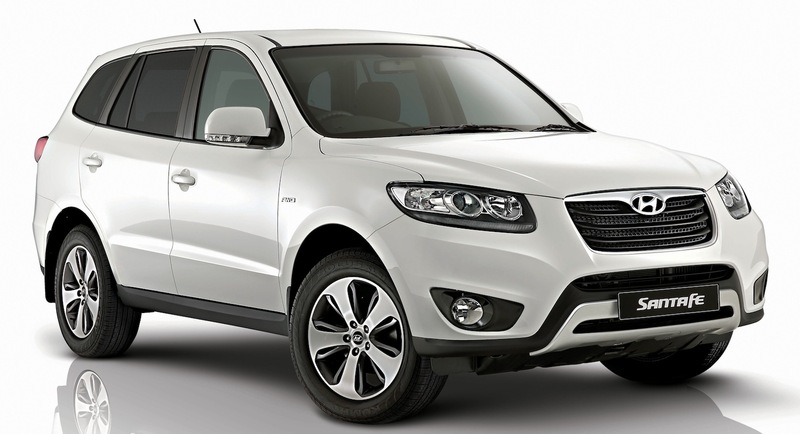 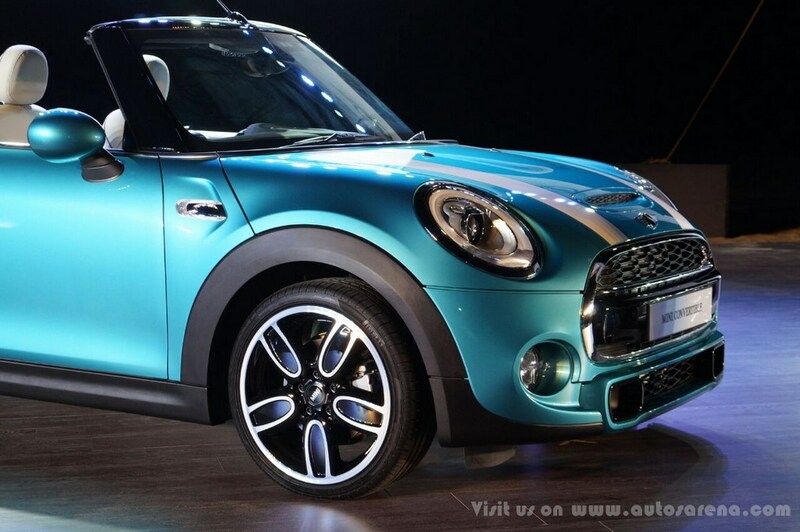 There’s a large honeycomb grille upfront and slim air dam upfront. 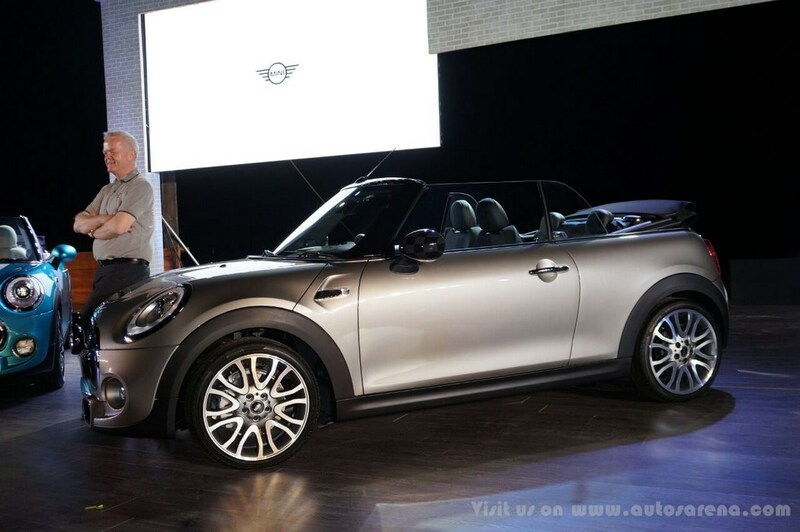 Side profile has grown longer than the outgoing model and has a wider wheelbase. 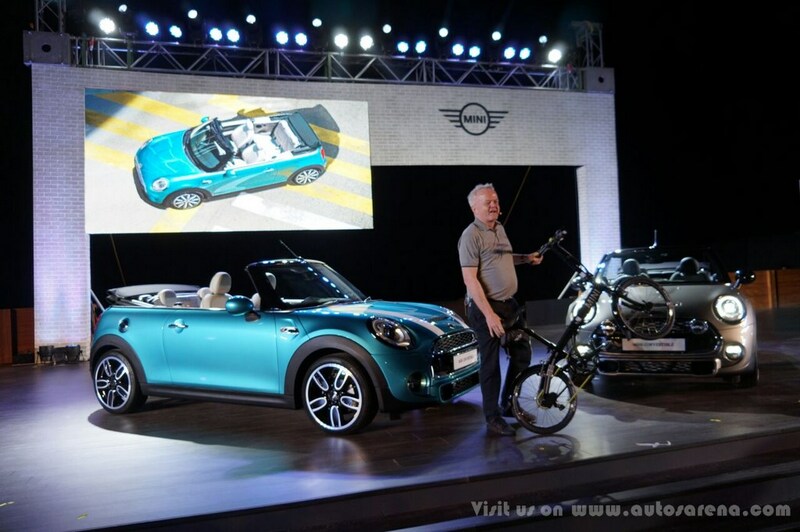 The rear has a more sporty design with LED effect taillamps and a small air dam at the rear with reflectors and chrome ringed round exhaust pipes. 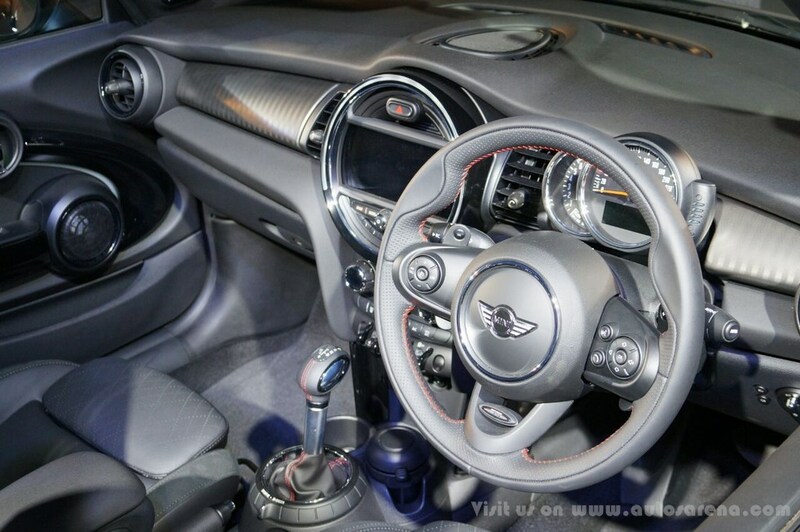 The interior design is high end as well as harmonious and offers premium workmanship in every detail. 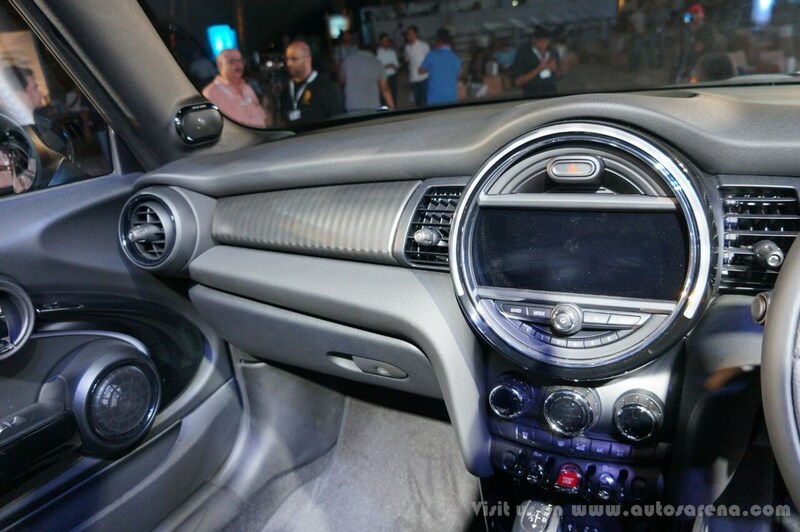 The retro theme is carried on in the interior as well. 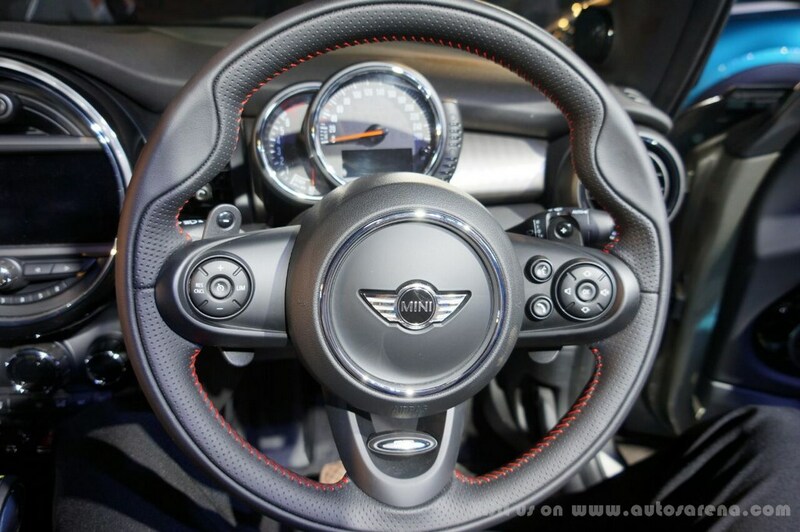 The multi function steering wheel also holds the circular shaped instrument cluster; the centre console houses a large circular screen which houses the infotainment system, while lower down the controls like the start stop switch get an aircraft style control switches. 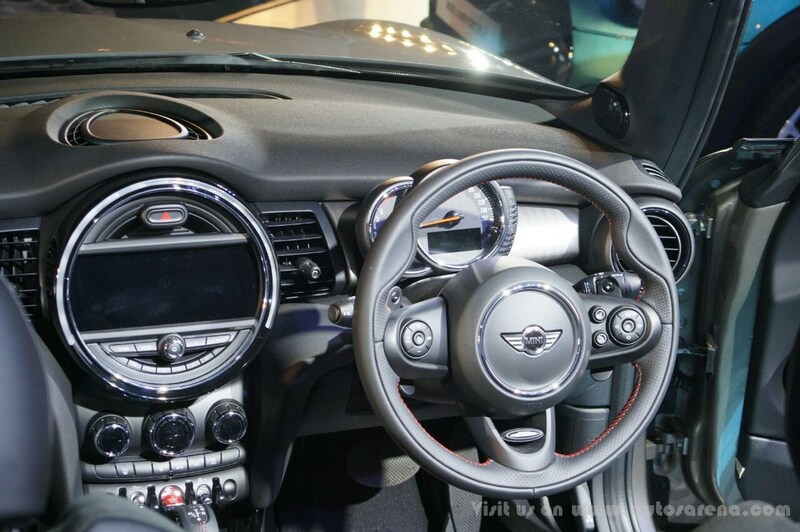 Features standard on the MINI Convertible includes Multi-function Sport leather wrapped steering wheel and sport seats for driver and front passenger and enhances the unique go kart feel of the all-new MINI Convertible. 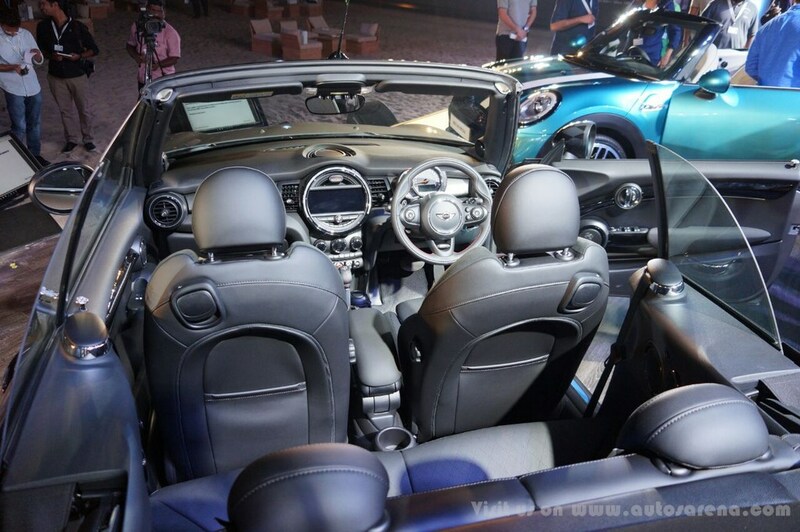 The expanded seat surfaces and increased headroom also contribute to optimised space comfort of the rear seat. 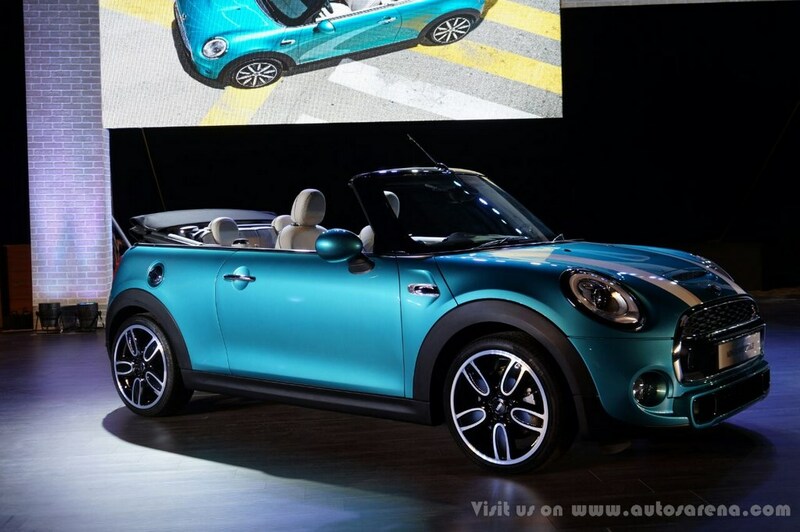 The MINI Convertible has a boot space of 215 with the roof down and 160 litres with the roof up. 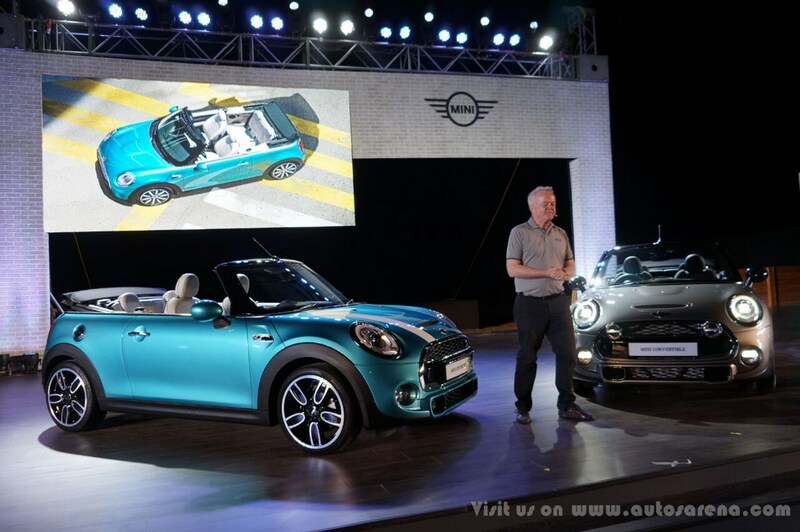 Under the hood of the MINI Convertible is an all new 2 litre, 4 cylinders Twin turbo petrol engine which screams out 189 bhp and 28.88 kgm of torque and also has an overboost function which further raises the torque to 30.6kgm. 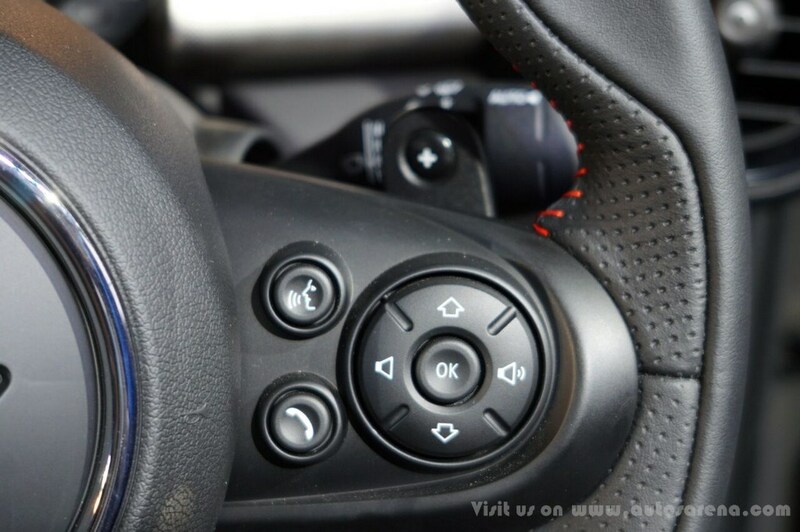 189 bhp of power is transmitted to the road wheels through a six speed automatic gearbox with paddle shifters. 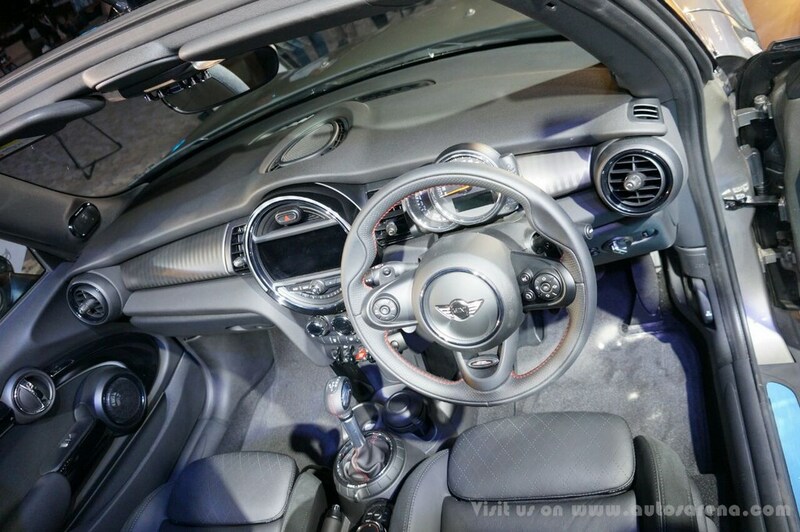 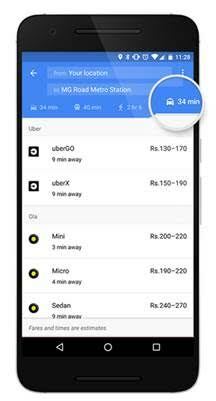 The MINI Convertible also gets MINI Driving modes enable an Individualized vehicle focusing on ride, comfort or sportiness or efficiency, according to preference. 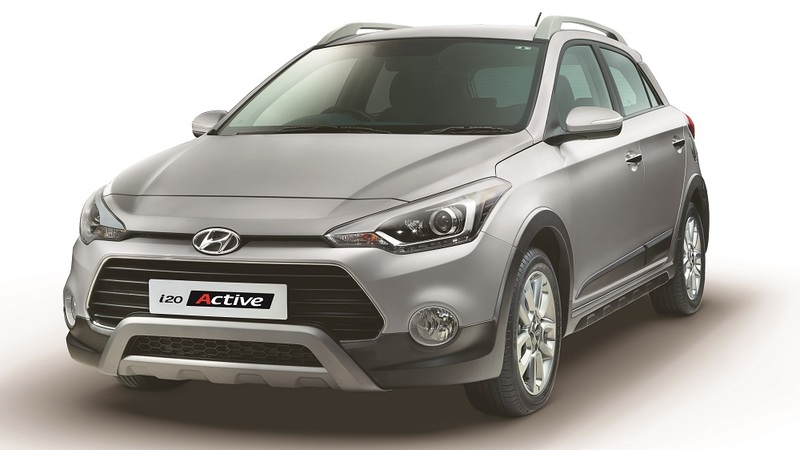 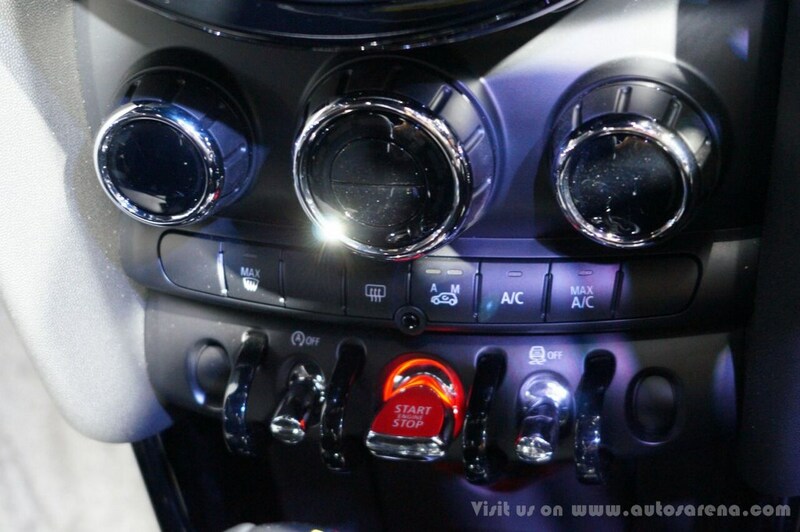 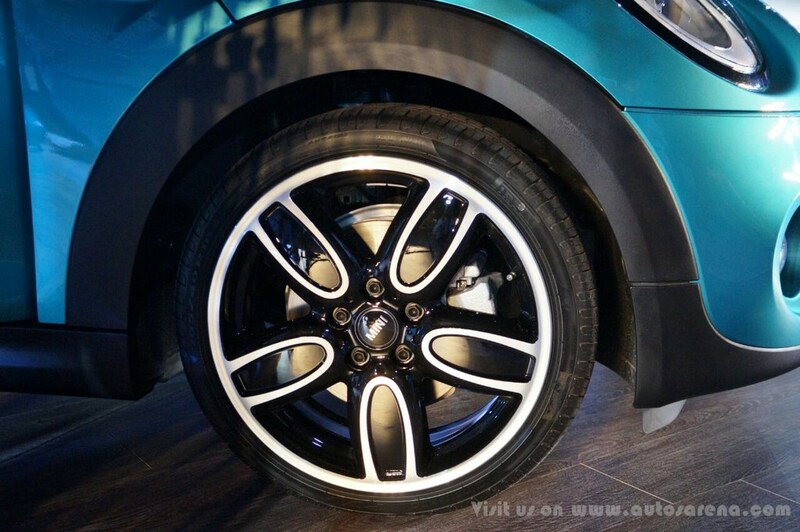 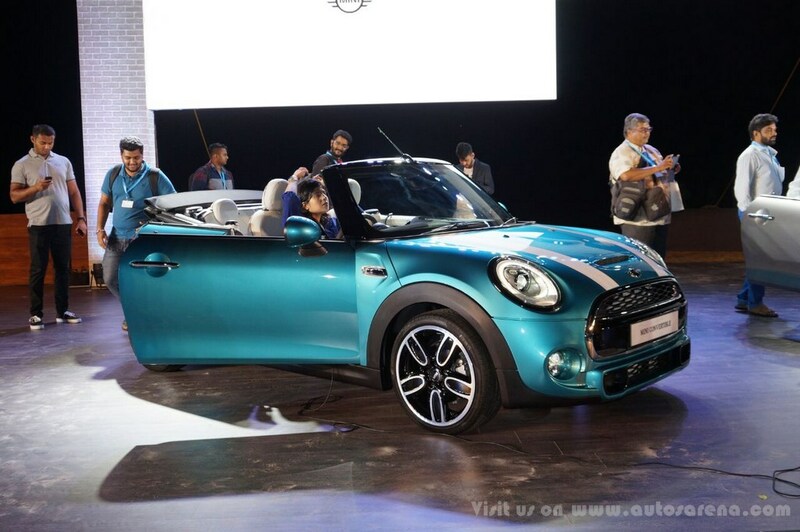 The Sport mode is geared towards active driving fun while the Green mode supports fuel efficient driving. 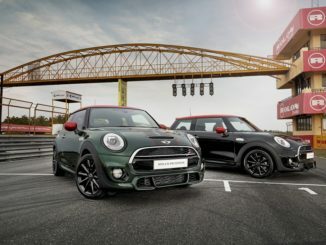 When it comes to safety the MINI has equipped the MINI Convertible with a deployable single piece roll bar that rises from behind the rear seats as and when the sensors detect a possible rollover situation. 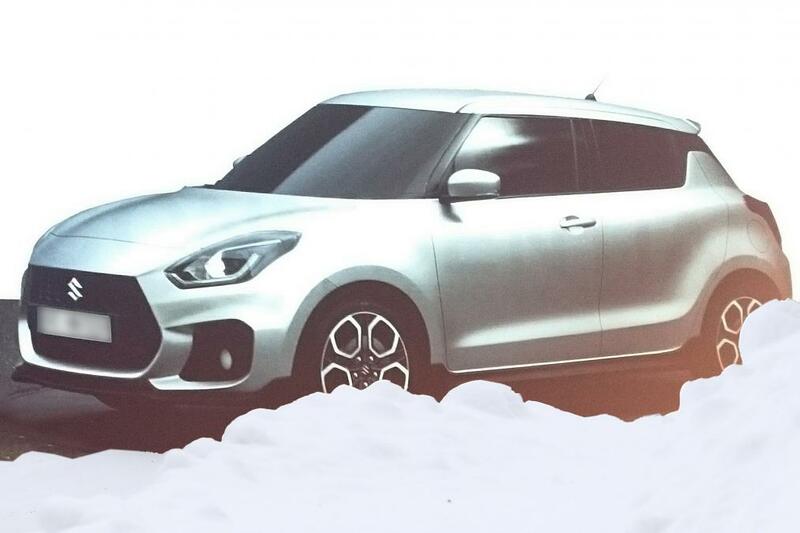 ABS traction control, front and passenger airbags, brake assist, dynamic stability control, Cornering Crash sensor, Run flat indicator and Crash sensor are also part of the package. 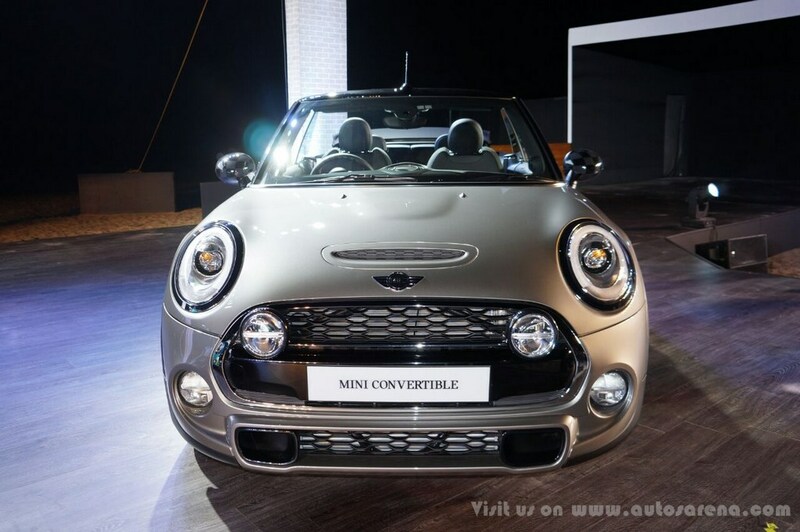 The MINI Convertible is also offered with a range of optional equipment MNI heads up display, Harmon Kardon Hi – fi system and LED headlights with cornering lights. 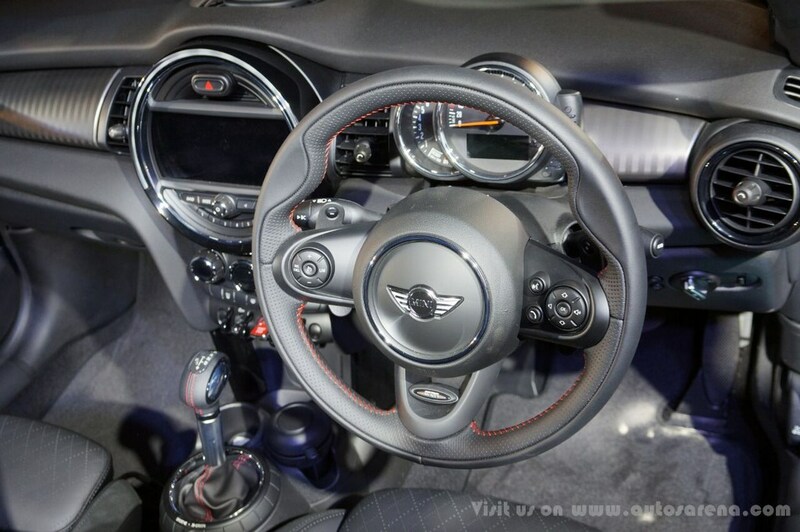 The Wired package includes a Navigation system professional, bigger 8.8 inch touchscreen controller and Bluetooth connectivity and the optional Radio MINI Visual boost. 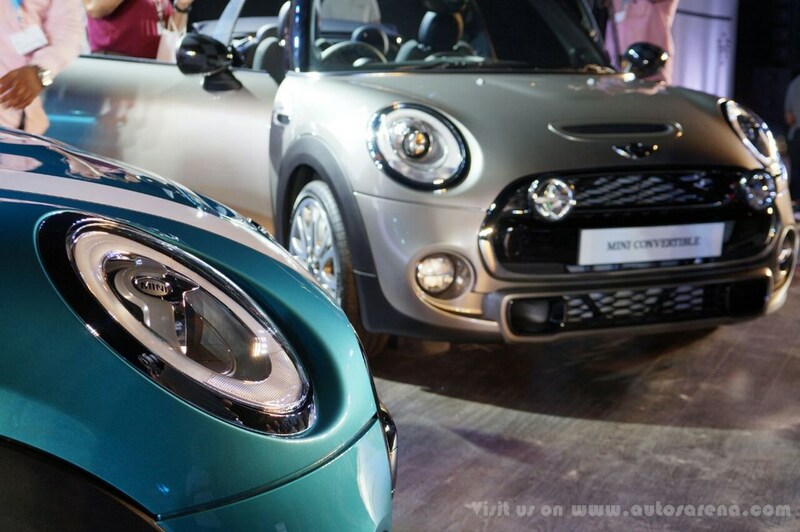 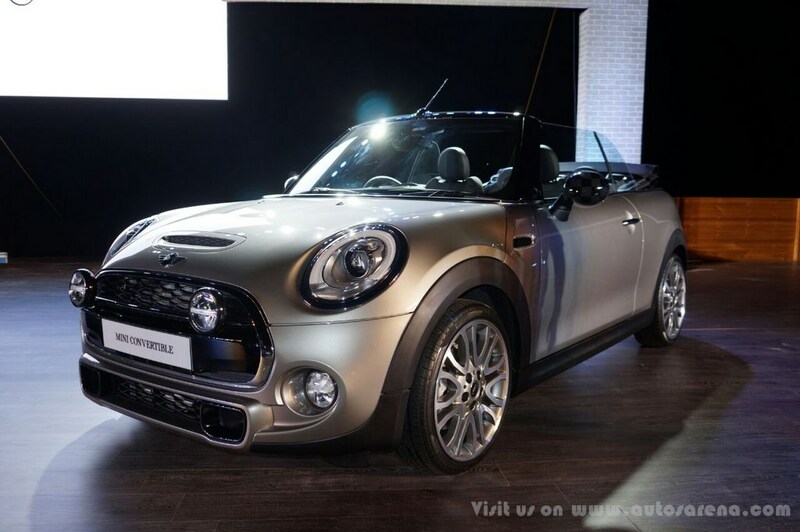 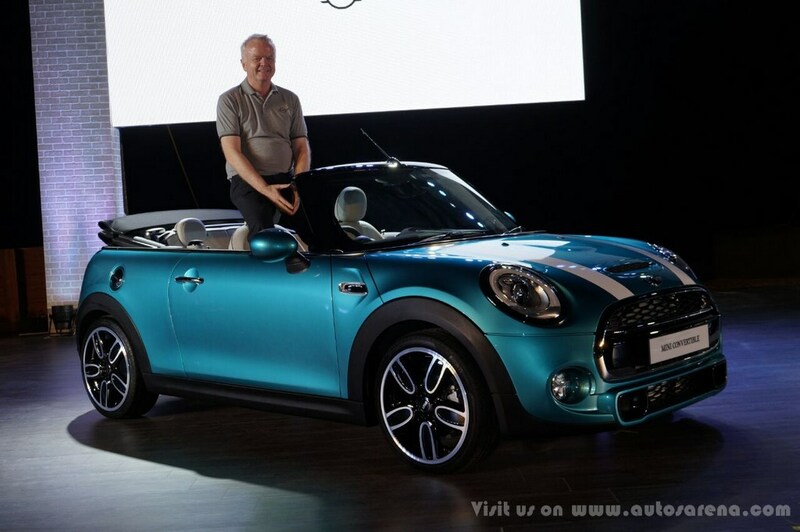 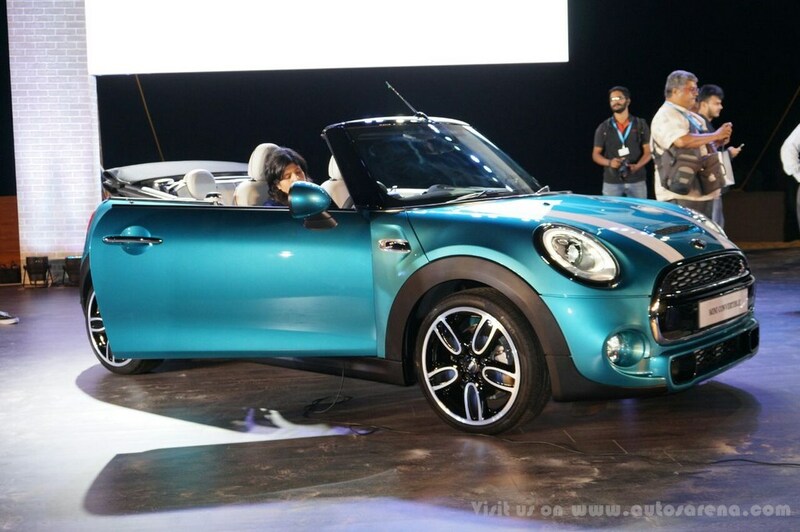 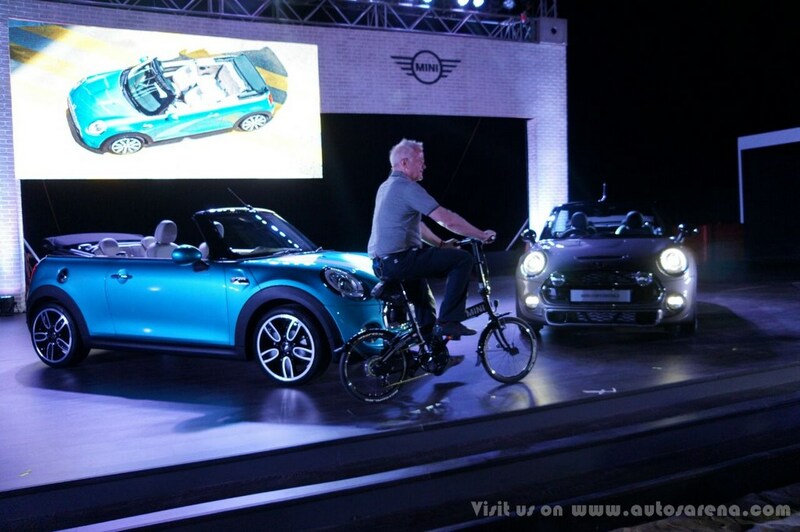 Mr. Philipp von Sahr, President, BMW Group India said, “The all-new MINI Convertible is unapologetically outgoing. 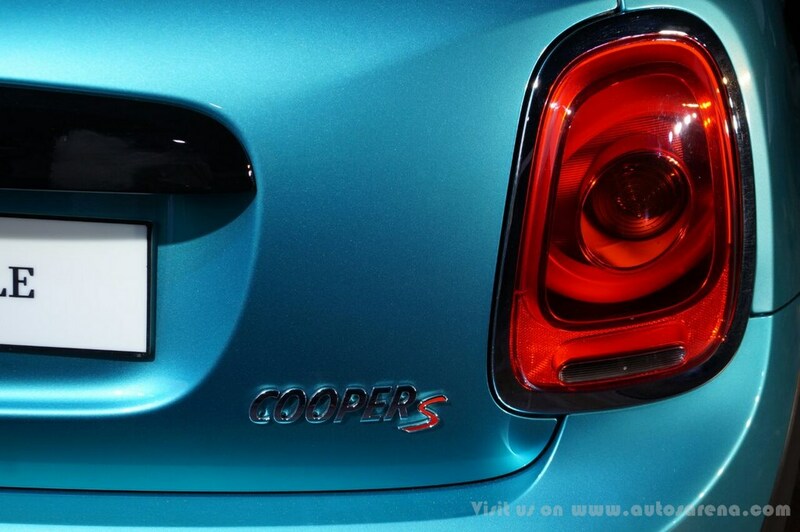 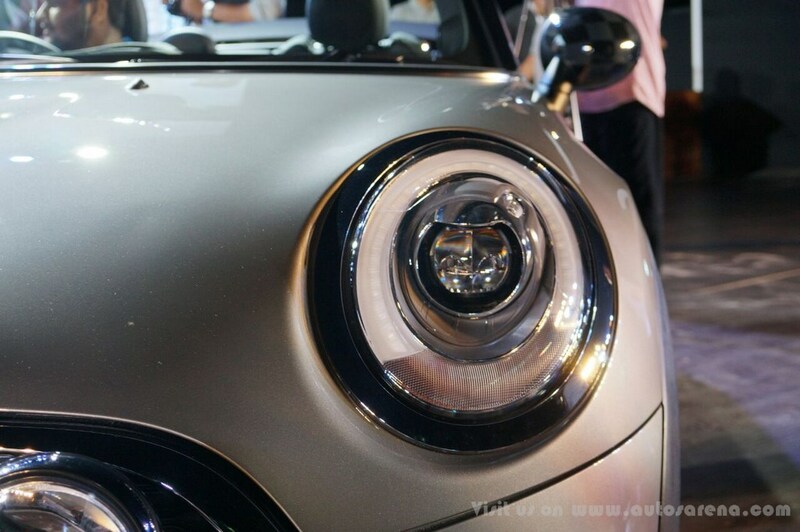 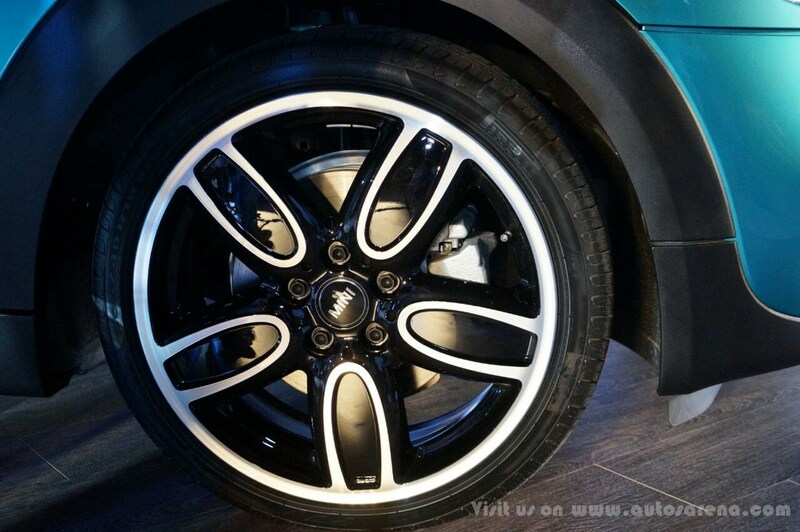 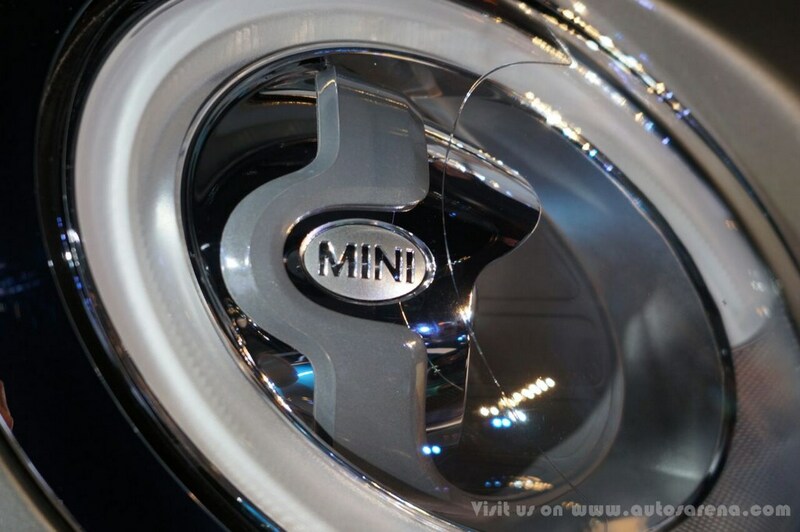 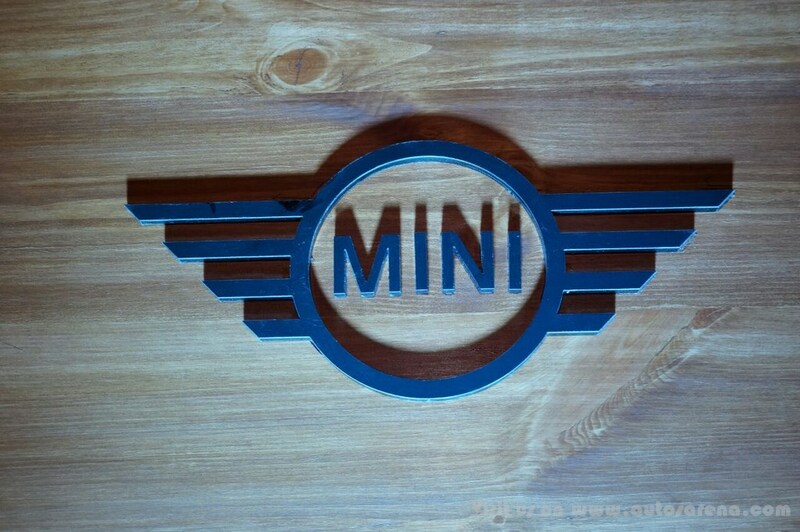 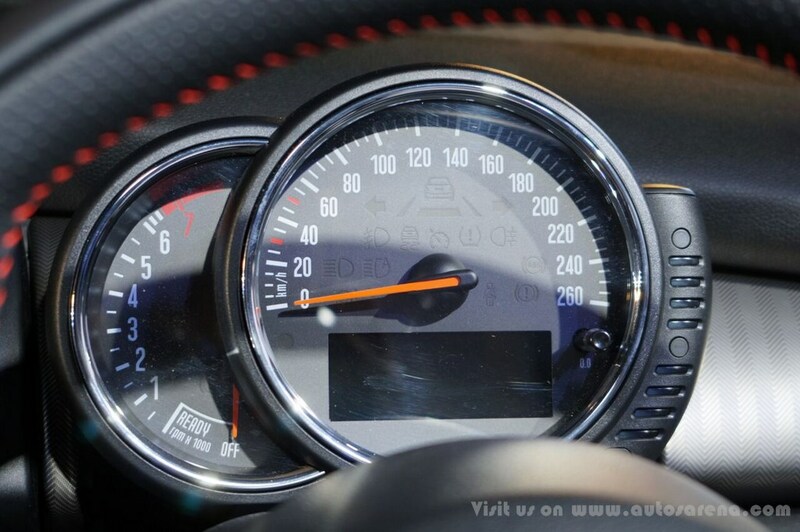 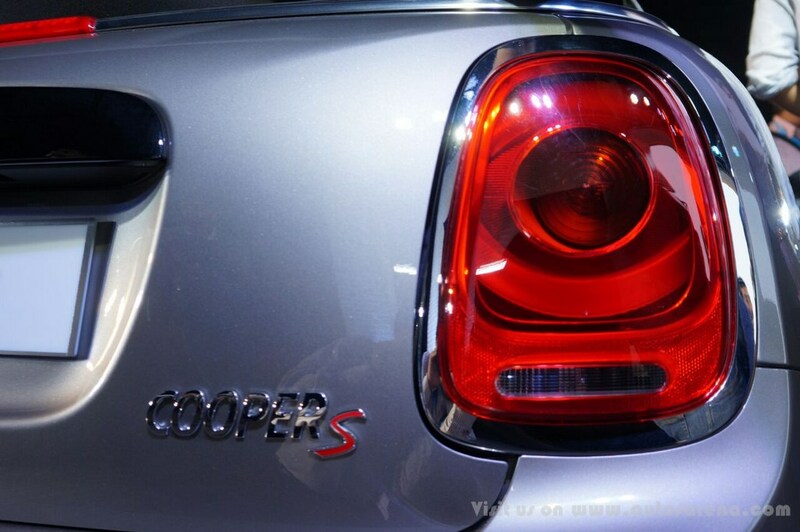 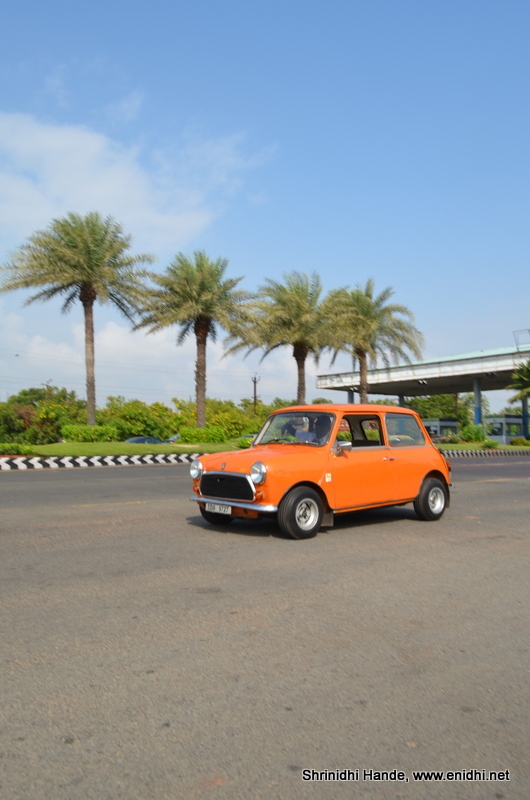 It’s a spontaneous and emotionally intensive way of savouring authentic MINI driving fun. 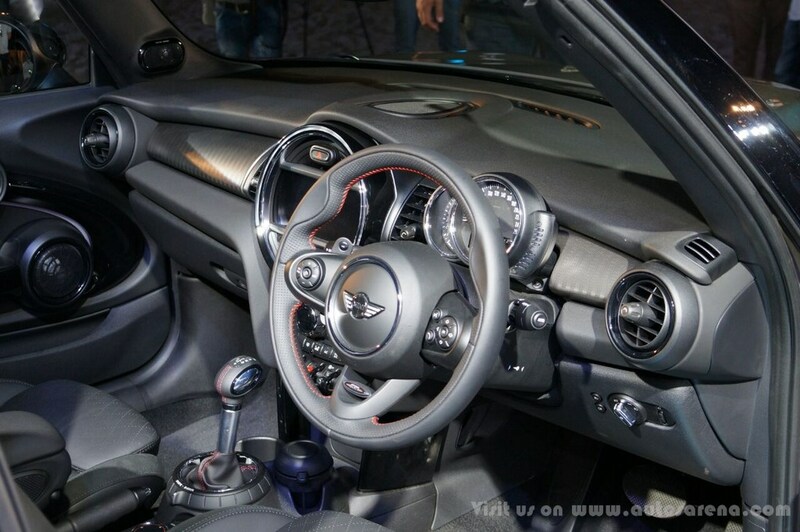 A non-stop thrill behind the wheel for those who know there’s always a little more to feel. 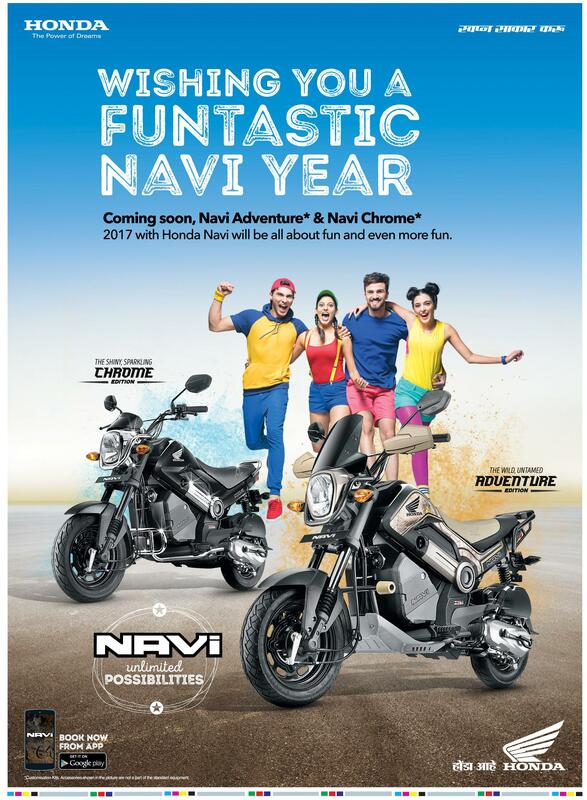 It is able to seize and share those intangible moments of pure joy precisely because of its contagious enthusiasm and its impulsive streak. 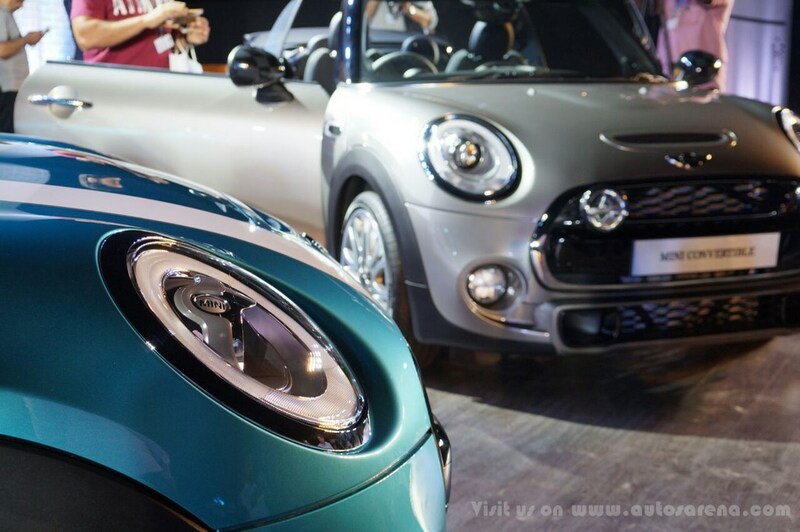 It’s creates a world in technicolour, packed with impulse, emotion and unbridled energy. 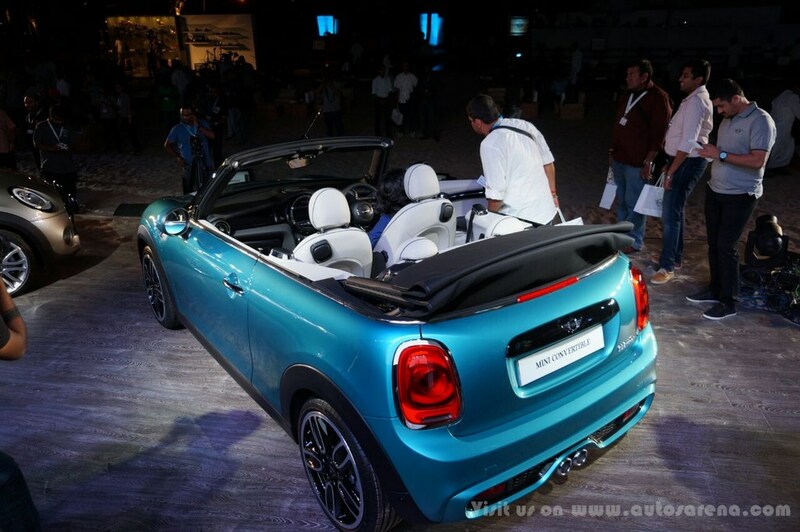 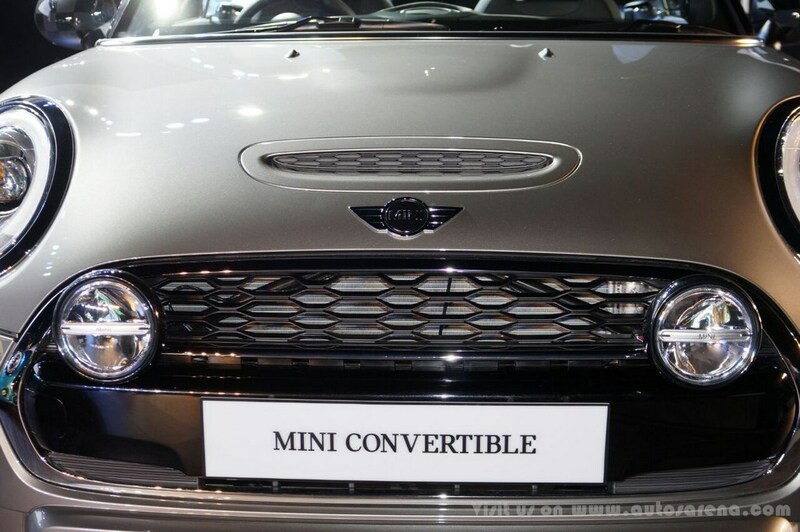 The MINI Convertible is sold only as a CBU in India and rivals the Volkswagen Beetle and FIAT Abarth 595 Competizione.